Aim: to evaluate the role of magnetic resonance imaging in the assessment of sport injuries of the knee joint as an integral part of the musculoskeletal system. 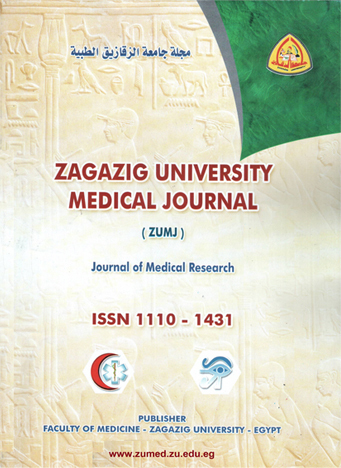 Methods: This study was done as a combined study between the Radiology Department of Zagazig University and the Radiology Department of University of California San Diego. It was conducted on 50 patients who were referred to the Radiology Department of the University of California San Diego. The patients were examined after sustaining different sports injuries of the knee joint. All the 50 patients were subjected to full history taking and Magnetic Resonance Imaging on the knee joint. The Magnetic Resonance Imaging results of 33 of these patients were compared with the results of knee arthroscopy. Results: The study included 50 patients complaining of sports related knee pain. The age of the patients ranged from 15 to 55 years with a mean age of 29.68 years. Most of the patients were males (38 patients), while 12 patients were females. The leading sports for knee injuries in this study were soccer, American football and running. The most common knee lesions were anterior cruciate ligament lesions (19 patients) and meniscal lesions (18 patients). In comparison with knee arthroscopy, magnetic resonance imaging revealed an overall 93.9 % sensitivity and 66.6 % specificity. Conclusion: Although arthroscopy has been considered the gold standard in knee sports injuries evaluation, MRI remains a reliable non-invasive modality that can reduce the use of diagnostic arthroscopy for evaluation of ligamentous, meniscal, bony and cartilaginous lesions.